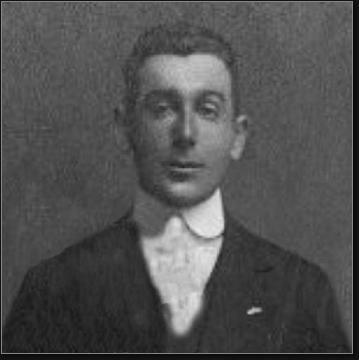 David H. Walsh was born October 5, 1889 in Hoboken. He was just a boy when the new sport of basketball became popular. He proved to be an excellent player for Hoboken High School and demonstrated an unusual aptitude for the rapidly evolving game. After graduating in 1907, Dave enrolled at Montclair Teacher’s College, where he continued to play, coach and referee basketball. Dave decided to make a career out of basketball. He continued his post-graduate education at Sargent College in Cambridge, Massachusetts, where he became an expert in physical conditioning. During this time he also took a job at Hoboken High School. He coached the basketball team for more than 20 years, winning the state championship in 1924. Dave’s reputation, however, was made as a college basketball referee, or “umpire” in the parlance of the 1920s. He was one of the region’s most respected whistle-blowers and became Supervisor of Officials for the ECAC. He also wrote the first Manual of Basketball Officiating. Dave was also the Associate Director of the Collegiate Basketball Officials Bureau, for 15 years beginning in 1941. Dave called his last college game in 1956, at age 67. He was enshrined in the Basketball Hall of Fame six years later. Dave passed away in 1975 at the age of 85 in Florida.